A delicious part of an antipasto platter. Some of the more common Antipastos are those that could be preserved, stored for the winter months when they could be pulled down and one can enjoy a bite of summer. 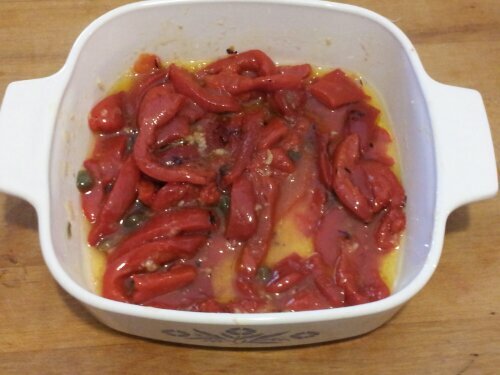 Roasted Red Peppers are a perfect example. 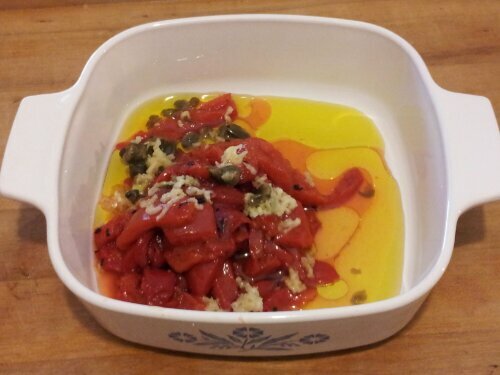 Roasted, peeled, and preserved in vinegar and water solution during the summer, they are quickly transformed into a luscious appetizer with the addition of garlic, capers (preserved in salt or pickled), and a good quantity of olive oil for a great wintertime treat. 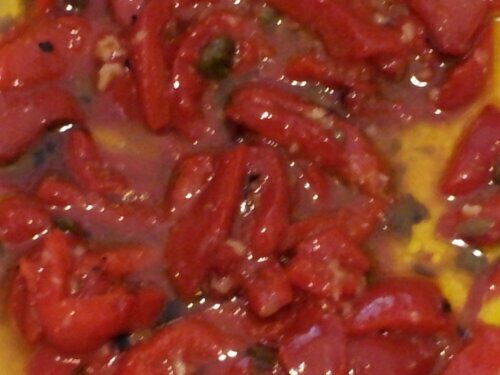 I also made put a few more peppers in a separate container, added the same ingredients plus one nice preserved anchovy, just to try it out. 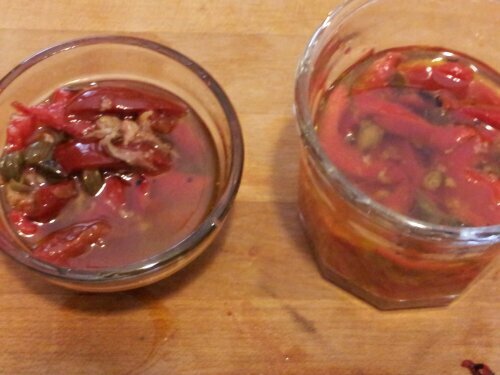 The little jar on the left has an anchovy added, a favorite flavor booster in the Italian cuisine. 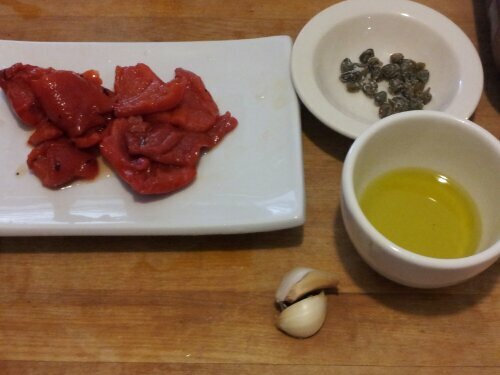 Let marinate for a few hours before serving. 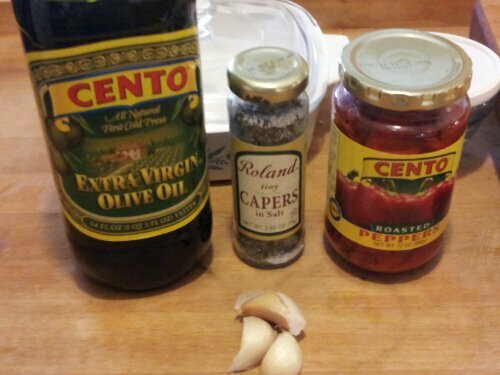 Great on sandwiches, salads, on crostini with or without a cheese.